Each year, approximately 250,000 veterans and their families transition from the military to civilian life. While returning service members have diverse skills demanded by today’s civilian labor force—including tenacious work ethics, tested leadership and strategic problem-solving abilities—these transitions too often leave veterans struggling to best align the experience acquired during military careers with the civilian workplace. Today’s grant announcement coincides with the release of “A Case for Patient Philanthropy: Supporting Jobs and Careers for Military-Connected Americans,” which details the rationale and impact of the O2O program. Funded through a grant from the Schultz Family Foundation, the white paper details the costs and consequences associated with a failed or sub-optimal employment transition for the service member, his or her family, and society. 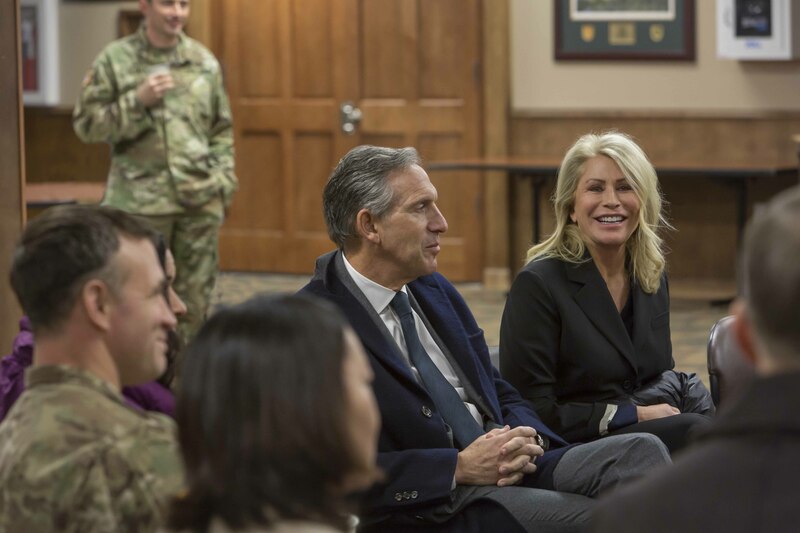 Since the inception of Onward to Opportunity in 2015, the Schultz Family Foundation and IVMF have partnered to develop the program’s vision and design, and to guide its launch in 2016. The Foundation continues to support the program and work closely with IVMF, as well as other public and private sector partners, on the ongoing evolution and growth of O2O to reach as many transitioning service members as possible. O2O has provided in-demand skills training and certification to nearly 20,000 service members, veterans and military spouses across all 50 states and abroad resulting in more than 11,000 of these individuals transitioning to employment. Thousands of others have gone on to pursue higher education and vocational training, or perhaps saved their credentialing for future employment as they continue their transition to the civilian world. 020 is a first-of-its-kind initiative operating on 18 military installations with more than 8,000 participants enrolling annually. O2O is currently one of the largest Career Skills Programs, operating on 18 military installations and virtually around the world and serving more transitioning service members and their spouses than many other programs. Available at no cost to transitioning service members, veterans and military spouses, more than 8,000 participants enroll each year. The program equips participants with certifications such as information technology (IT) project management, human resources and cybersecurity—empowering them to secure meaningful post-transition job placements in high-demand fields. The program is fueled in part by more than 800 employer partnerships, including with well-known companies such as Accenture, Apple, JPMorgan Chase & Co., Microsoft, Prudential, SAS, Starbucks and USAA. The Schultz Family Foundation, established in 1996 by Sheri and Howard Schultz, aims to unlock America’s potential, one individual and one community at a time. It creates opportunities for populations facing barriers to success to ensure that their place in life isn’t determined by zip code, race, religion, gender or sexual identity. Investing in innovative, scalable solutions and partnerships, the Foundation focuses its efforts on two groups with enormous promise: the 4.6 million youth and young adults aged between 16 and 24 who are out of school and out of work, and the 3.8 million post-9/11 veterans and approximately 250,000 service members who transition from active, National Guard or Reserve duty to civilian life each year. Visit SchultzFamilyFoundation.org for more information. The Institute for Veterans and Military Families (IVMF) at Syracuse University is the first interdisciplinary national institute in higher education focused on the social, economic, education and policy issues impacting veterans and their families. Through its professional staff and experts, the IVMF delivers leading programs in career, vocational, and entrepreneurship education and training, while also conducting actionable research, policy analysis and program evaluations. The IVMF supports communities through collective impact efforts that enhance delivery and access to services and care. To date, the Institute has served 100,000 military service members, veterans and their families through myriad programs. IVMF, supported by a distinguished advisory board along with public and private partners, is committed to advancing the lives of those who have served in America’s armed forces and their families. For more information, visit ivmf.syracuse.edu and follow the IVMF on Facebook, Twitter and Instagram. Syracuse University is a private, international research university with distinctive academics, diversely unique offerings, and an undeniable spirit. Located in the geographic heart of New York state, with a global footprint and nearly 150 years of history, Syracuse University offers a quintessential college experience, as well as innovative online learning environments. The scope of Syracuse University is a testament to its strengths. At Syracuse University, we offer a choice of more than 200 majors and 100 minors offered through 13 schools and colleges, and 18 online degree programs. We have more than 15,000 undergraduates and 7,500 graduate students, more than a quarter of a million alumni in 160 countries and a student population from all 50 U.S. states and 123 countries. Visit syracuse.edu for more information.